By 1925, Doug and Mary’s home was known far and wide as “Pickfair” and they had hosted royalty and a variety of distinguished guests, sometimes for weeks at a time. Parties large and small were held with regularity, but occasionally the house was also the site for family affairs such as the wedding of Mary’s cousin, Verna Watson, 20, to Selmar Chalif, 21. Verna lived in New York, but the offer of a sunny outdoor May wedding at one of the most famous homes in the country was well worth the trip. We know how close Mary was to her mother Charlotte and her younger siblings, but she took care of her extended family as well. Verna was the daughter of Charlotte’s older sister Elizabeth, or Lizzie. Charlotte had been nine years old when her father died and to survive, she and her newly widowed mother moved in with Lizzie who had recently married William Watson. Taking care of family was in their DNA so of course Mary would offer her home. And she arranged for Reverend Dodd, the same Episcopal minister who had married her brother Jack and Marilyn Miller at Pickfair in 1922, to officiate. Yet even a family wedding was not a simple affair. Two airplanes circled the house and flew in low to drop white and red carnations on the roof on the gathering below. Mary was the matron of honor and her niece Gwen, Lottie’s daughter, was the flower girl. 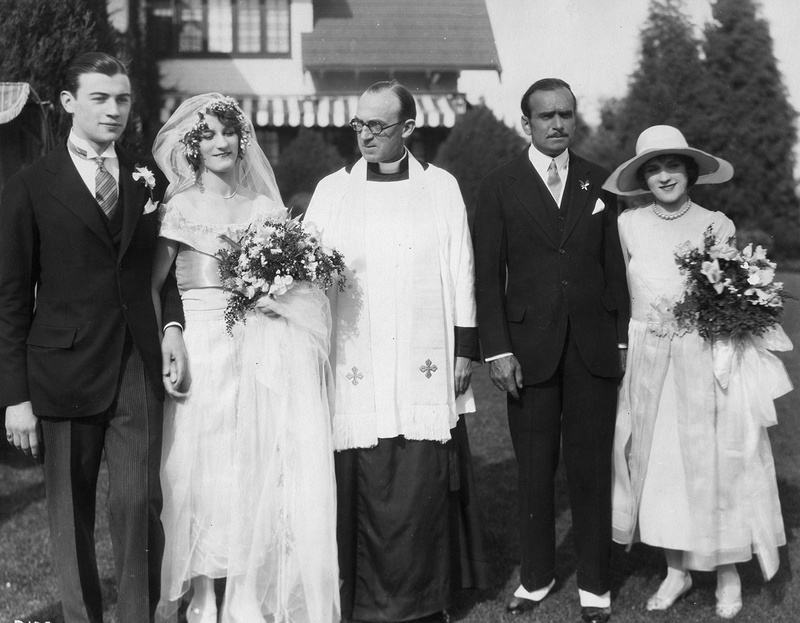 The bride’s parents were there as were Charlotte and Jack Pickford alongside his wife Marilyn Miller. Doug’s family was represented by his brother Robert and his wife and friends from the film business such as future director Raoul Walsh, Charlie Chaplin, Al Parker and Mary’s cinematographer, Charles Rosher, were included as well. Home movies were made of the wedding and when the camera’s rolled, Mary and Doug could not resist hamming it up. 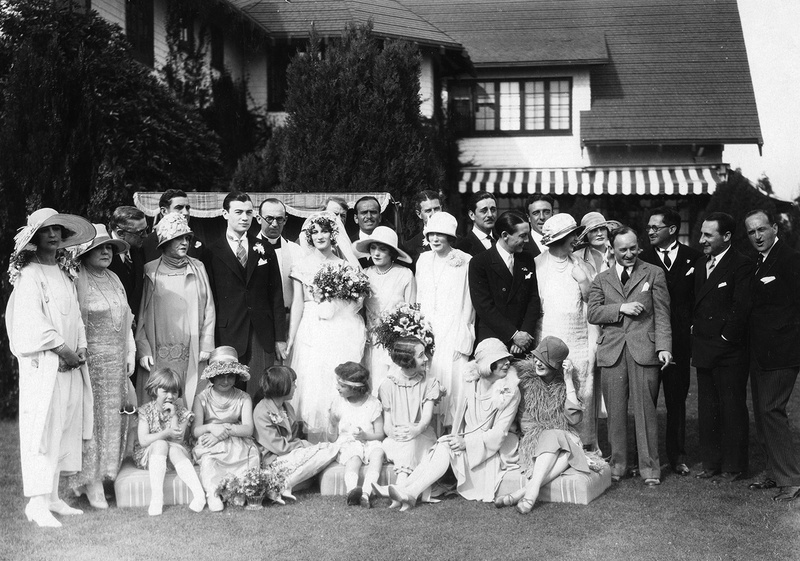 In the Mary Pickford Foundation’s archives, some of the film still exists so enjoy this clip from a family wedding on May 10, 1925.